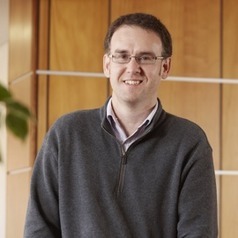 Ben Mullins is an Associate Professor (Research) in the Health Science Faculty at Curtin University, as well as a member of the Curtin Institute of Computation (Fluid Dynamics Research Group). He started his research career with a PhD in Environmental/Process engineering from Griffith University, followed by a three-year research position at KIT in Germany, and engineering academic positions at Curtin and Griffith Universities. Through an interest in aerosol science and health, Ben found his way to his current position in the School of Public Health at Curtin, where he has an interest air pollution measurement, modelling and control, as well as in improving our understanding of respiratory dynamics and aerosol deposition for both therapeutic and toxicological applications, using both Computational Fluid Dynamics and experimental approaches. Recent work has focussed on the health effects of diesel and biodiesel exposure.